Not even the strongman Ferdinand Marcos had declared an all out battle against the Communist Party of the Philippines and the New People's Army, Bobi Tiglao wrote on his column in Manila Times dated November 4. 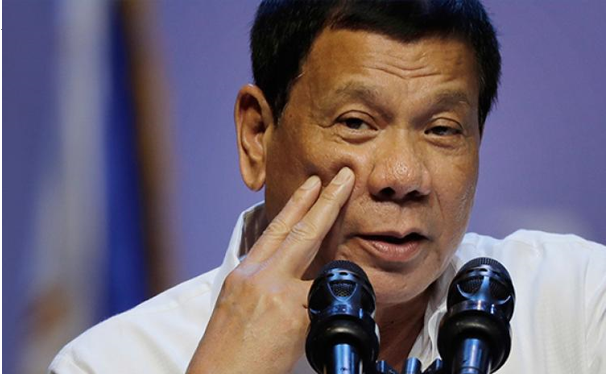 According to Tiglao, President Rodrigo Duterte already informed his National Security Council to create a National Task Force to deal with the half-century old insurgent from the communist party of the Philippines. Duterte is decided to wage an all-out campaign to end the scourge that the Maoist Community Party of the Philippines (CPP) has suffered on the country. Details of the plan have not been publicly released, but Duterte as the commander in chief of the country is really decided to end the communist insurgency and to finally take it down. During the time of Senator Benigno Aquino Jr. who was the mastermind allegedly to enforce claim on Sabah, Malaysia financing the Moro National Liberation Front (MNLF) for successful revolution and purveyors of fake news on Muslim communities had continuously invade the peace on Mindanao. Thru the funds and trainings in Malaysia, the government officers and military forces in Mindanao had nearly lost disputing territory. 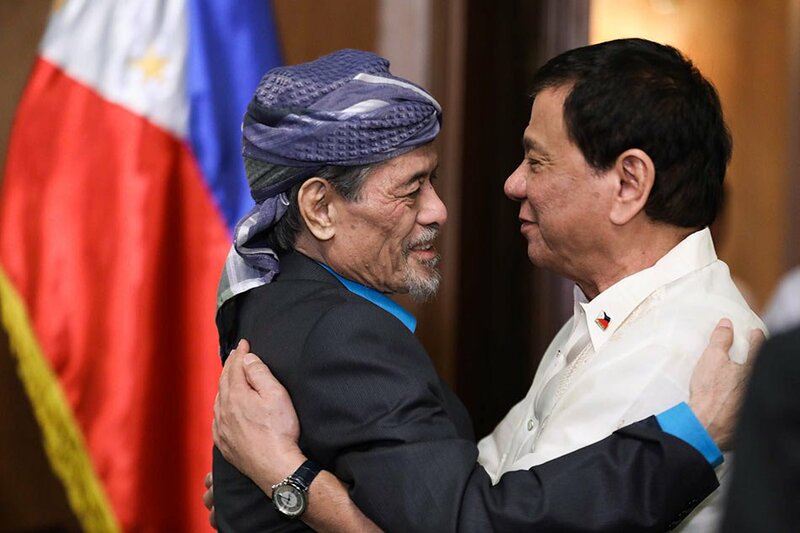 Christian and Philippine military had seek help to the Muslim Middle Eastern countries that suddenly found themselves rich with petrodollars. 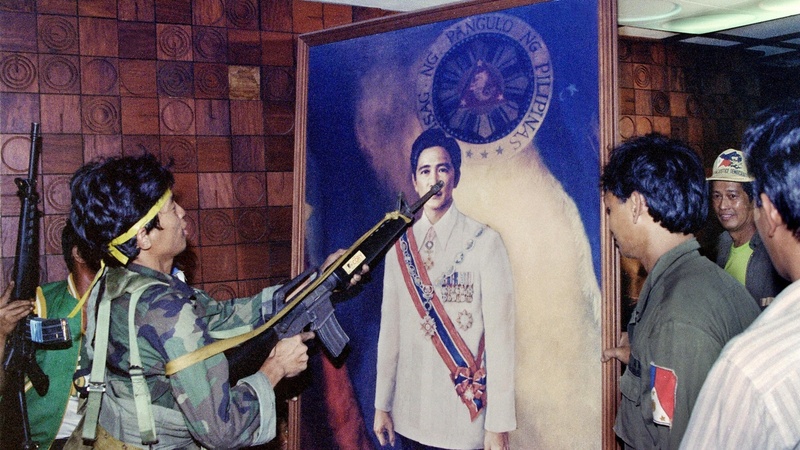 During the term of former President Ferdinand Marcos, the communist and their New People's Army was a major threat in Central Mindanao Command Armed Forces commanding general Fortunato Abat. Marcos declared that Mao Zedong had abandoned his support to the Philippine communists when two shipments of 10,000 M-14 assault rifles that China had sent to the NPA in 1972 was intercepted. Tiglao also mentioned names of intelligent young cadres who replaced communist leader Jose Maria Sison who he called a Maoist dogmatist. During the Marcos government, former president Fidel V. ramos was the one assigned to mere “peace and order concerns” in the regional commands of the Philippine Constabulary. However, out of no reason, Ramos ordered his Manila-based crack unit, 5th Constabulary Security Command, to “decapitate” the communist movement, that is, to hunt and arrest its leaders. According to Tiglao's column, he narrates how a strongman like Marcos had been defeated by the growth of communist insurgencies when the great leader during his regime believes that a peace pact similar to what it had reached with the MNLF could be achieved with them. Due to sickness, Marcos have to overcome his battle of kidney disease which requires him of an organ transplant and global financial crisis occurs during his time that's why people drove away from him. Same with the opposition figure Aquino's assassination that drove people away from him which led support to the communist group. Now, here comes former President Corazon Aquino who saw the communists as a group to defeat Marcos. Aquino released Sison and his comrades who have been in jail for nine years. That is why, some communist leaders even have obtained a seat in Congress, which they have since effectively used as propaganda and revenue-raising posts. Furthermore, Tiglao narrates that Aquino and all succeeding administrations chose to undertake continuous peace talks with the communists. The communists successfully even put themselves on the same level as a sovereign nation, whose representatives negotiate with the Republic of the Philippines in a foreign nation, mediated by a foreign government. The communists cleverly used the ceasefire to consolidate and expand its forces. Tiglao ended his column to whom he said that Duterte would be first President to go after the Maoist insurgency who would change the mindset of the Filipinos to end the communist insurgency once and for all. Starting with military intelligence who claims to be an NDF consultant or an NPA guerilla when caught doing peace talks with the NPA. He even said that PNP general Rolando Abadilla who was assassinated by the NPA years after he had retired would be vulnerable to live and secure themselves in the NPA hit squad and Army Gen. Jovito Palparan who also called by the NPA “Butcher” and human rights violators can live peacefully without any military clashes? The current media mindset has been: They are not terrorists, nor an organization driven by a totally discredited ideology out to impose a dictatorship, but simply idealistic Filipinos, driven to insurgency because of poverty and oligarchic rule in the country. Now, with Duterte as the president all of this beliefs and motives of the communist will perished. Why? Because he is building a nation, free from pro-NPA mindset most especially students fooled to fight government and die for its lost cause.